WiFi has become a staple in just about every organization on the planet. It is pretty amazing how quickly WiFi networks have replaced their wired counterpart. The challenge with WiFi networks is how to secure them. There is very real concern that a WiFi network is a conduit to your critical digital assets. 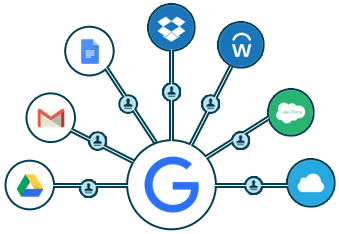 Many IT organizations are also using Google’s G Suite solution. So, the thinking goes, can we use Google IDaaS for WiFi authentication? The first thing to address is what Google IDaaS really is. Google Identity-as-a-Service is more of a concept rather than a product. The specific solution that Google leverages is called G Suite Directory. However, the challenge with G Suite directory is that it is more of a user management platform for Google Apps and for a select few web applications through their OAuth and SAML integrations. Can IT admins federate G Suite identities to more than just Google services? The answer really is no, not right now. Google wants their identities to be the central point in the universe. This truly is no different from Azure Active Directory or AWS Directory Services. Their focus is on owning your identities and locking you into their platform. This can be especially frustrating for IT organizations looking to leverage RADIUS or cloud RADIUS platforms to enable WiFi authentication with Google identities – more specifically, G Suite identities. Unfortunately, Google IDaaS can’t solve your problem. Luckily, there is another way to solve the problem without trying to make Google IDaaS do something that it can’t. In fact, you can leverage G Suite identities to be the central point of your IT infrastructure by using a cloud-hosted identity provider called Directory-as-a-Service®. This approach to IDaaS serves as your authoritative source of identity for your systems, applications, and networks regardless of the location, provider, protocol, and platform. Mac, Windows, Linux, G Suite, Office 365, Google Cloud, AWS, and more are all seamlessly integrated and controlled from one central web console. Moreover, WiFi authentication is available via G Suite identities through the Directory-as-a-Service platform. 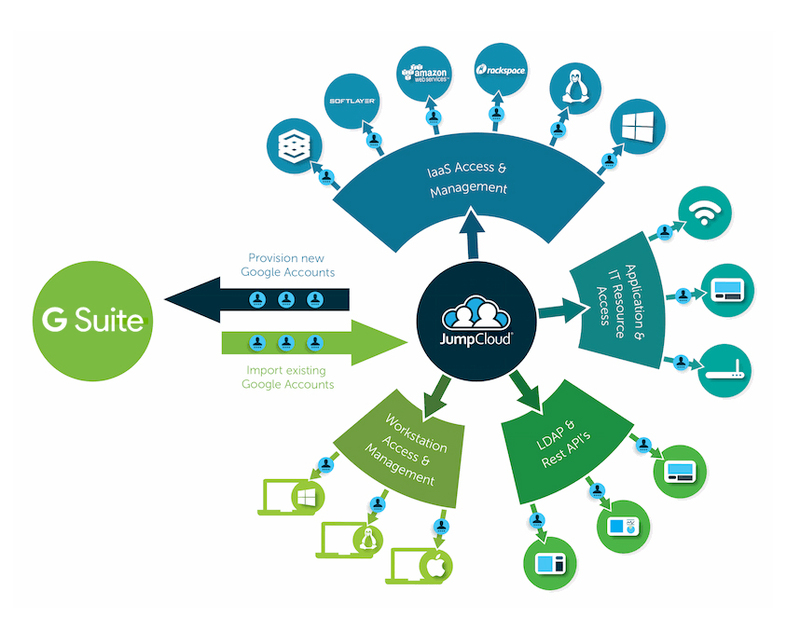 Simply point your wireless account points to the included cloud RADIUS platform with the cloud-hosted directory. With PEAP support, there isn’t any customization required with your end users’ devices. A user’s single set of G Suite credentials will get them into your WiFi network and help increase the security of your infrastructure. 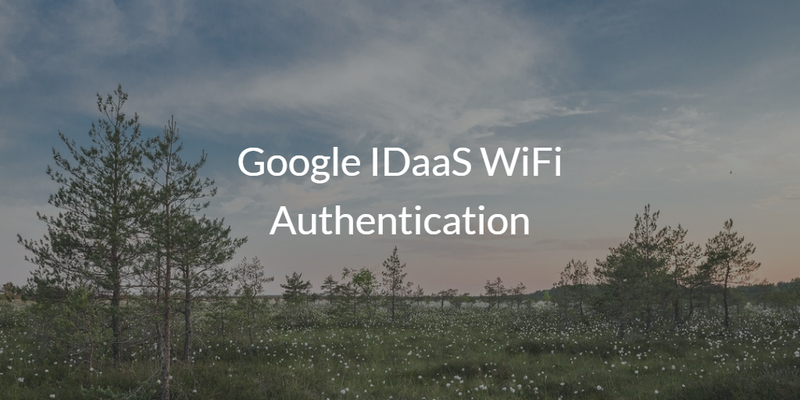 If you would like to learn more about Google IDaaS WiFi authentication, drop us a note. 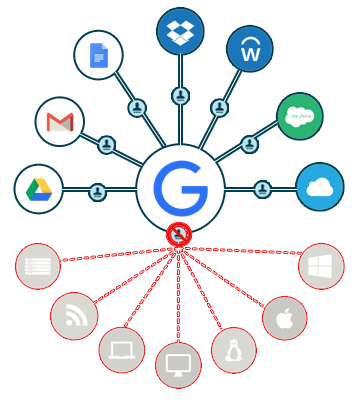 We’d be happy to walk you through what G Suite Directory can do for you and how the complementary solution Directory-as-a-Service could federate your G Suite credentials to your WiFi network. Give our IDaaS platform a try for yourself. Your first 10 users are free forever.